The Black Skeptics Scholarship Committee is now accepting applications for our First in Family and Catherine Fahringer Memorial scholarships. The First in Family Humanist Scholarship: Four $1,000 scholarships are awarded to high school youth to assist with their tuition, room and board, books, and other academic resources. 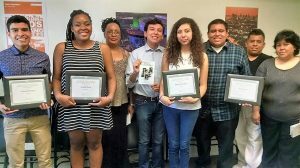 This award is available to anyone who attends the Los Angeles Unified School District and are accepted into two or four-year colleges regardless of if they are religions or not. Preference is given to students of color (Black/African American, Latino(a), Asian/Pacific Islander, Native American) who are (or have been) in foster care, homeless, undocumented and/or LGBTQ (system involved youth applicants are also welcome). The Freedom From Religion Foundation Catherine Fahringer Memorial Scholarship: Four $2,500 scholarships are awarded to high school youth to assist with their tuition, room and board, books, and other academic resources. This award is available to high school youth who live in the U.S. who identify as atheist, agnostic, humanist and/or secular, and are accepted into two or four-year colleges. Preference is given to students of color (Black/African American, Latino(a), Asian/Pacific Islander, Native American). These awards are made possible through the support of the Freedom From Religion Foundation and various members of the atheist/secular community. Please pass on the information to eligible students! Online and pdf versions of the application are available here. By Norm R. Allen Jr. There has never been a better time to be a black atheist, secular humanist, freethinker, or rationalist in the U.S. Black non-theists are especially coming out of the closet on-line. There are groups such as the Black Skeptics, Black Female Skeptics, Black Atheists of America, and many others. Black non-theists have made numerous You Tube videos and appeared on many podcasts. Over the past couple of years, black non-theists have gathered in cities such as Atlanta, Washington, D.C., Indianapolis, and New York. There are now quite a few books out by and about black non-theists. Why, then, does black academia continue to ignore black non-theists and the roles that non-religious individuals and secular ideals have played in the substantive development of black intellectualism and activism? Among white academics, there is no shortage of scholars able and willing to discuss the “New Atheism” and the books of such writers as Sam Harris, Christopher Hitchens, Richard Dawkins, Daniel Dennett, Victor Stenger, and others. Conversely, black academia is silent on writings defending non-theism from black perspectives. Black academics do not seem to be any less religious than the black mainstream. According to every major U.S. poll on religion, African Americans are by far the most religious group in the nation in every category. One cannot help but wonder if black academics have intentionally ignored black non-theists, perhaps even questioning their “blackness” due to their rejection of religion. This raises another point overlooked by black academics. Since the 1990s, there have been scores of humanist and freethought groups all over Africa. They have hosted major conferences, spoken and written in major media, defended church/state separation, opposed superstition, promoted secular ethics, published newsletters, fought for the rights of LGBTs, etc. Similarly, there are humanist groups in such Caribbean nations as Haiti, Trinidad and Tobago, and Barbados. Why are black academics missing the boat when there is so much potential for badly needed research and scholarship in this area? Black humanist scholar Anthony Pinn of Rice University believes that there should be an entire discipline dedicated to black humanist studies. Indeed, such a discipline would go far in demonstrating that there are important non-religious traditions in the black community. For example, Pinn has written about the secular roots of blues music, and how some blues musicians not only challenged traditional religion, but the very existence of God. (Perhaps it was not called “the devil’s music” for nothing). Since the 1990s non-theist rappers have been making explicitly atheistic music. Perhaps the best known atheist rapper is Greydon Square, who has performed before atheist audiences. Considering that many Black academics closely study hip-hop, it is amazing that they have ignored the phenomenon of the atheist rapper. Many black non-theists offer strong, progressive, badly needed critiques of black Christianity. Many black churches are blatantly sexist, homophobic, materialistic and theocratic. Black non-theists uncompromisingly oppose these moral failings while challenging preachers that sexually abuse their congregants. Non-theists are obviously less likely than church members to try to rationalize the unjust practices of powerful ministers. Black academics should certainly be interested in the history of black non-theists. Indeed, great African American non-theists include civil rights giants such as W.E.B. Du Bois, A. Philip Randolph, James Forman, and James Farmer. They include writers such as Nella Larsen, Zora Neal Hurston, Lorraine Hansberry, Richard Wright, James Baldwin, and Langston Hughes. Black academics will write about such great individuals, but all too often they will ignore or downplay their non-religious worldviews. On the other hand, it seems abundantly clear to them that is important to discuss and understand—or to at least acknowledge—the religious views of great religious individuals. It is ironic that so many black academics will not study black non-theists. After all, black studies came about due to the fact that white scholars were ignoring or downplaying the history of black people. Yet many black scholars apparently see no hypocrisy in shunning a minority within their own group. It is time for black academics to give serious attention to black non-theists. With the growth of the Internet, this group will only expand greatly in the near future. If black academics are left behind while they could be on the ground floor, they will only have themselves to blame. For 21 years, Norm R. Allen Jr. was the only full-time African American secular humanist activist traveling the world promoting secular humanism. 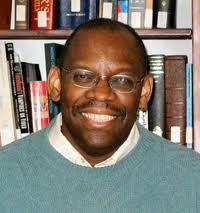 He is the editor of two books, The Black Humanist Experience and African American Humanism.